not to mention the launch of Marissa Meyer's CRESS! Check out my daily schedule of events! 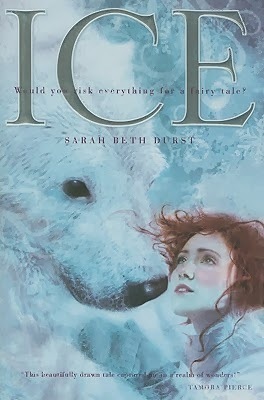 I've previously reviewed Sarah Beth Durst's novels ICE (A fairy tale retelling of one of my favorite stories, East of the Sun, West of the Moon), ENCHANTED IVY, and DRINK, SLAY, LOVE. I shamefully haven't reviewed VESSEL yet, even though I read and LOVED it. I had wanted to post it along with a special feature that fell through, and then I had to re-read it for detail...and I haven't had time. I still really want to! I think Kat is going to read it for the first time in 2014, so one or both of us will review it this year! so look for even more reviews from me in 2014! I adore her books so much...and there is so much coming this year for me to love! 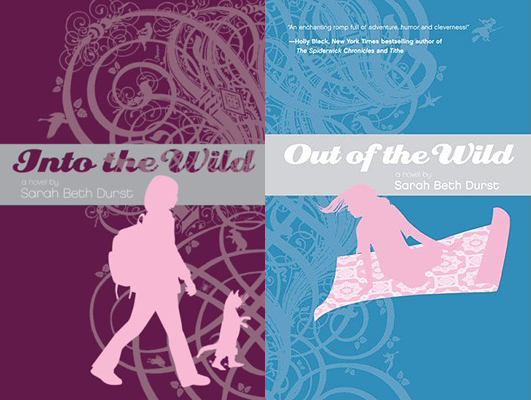 Sarah Beth Durst is the author of seven fantasy novels for teens. Her latest, CONJURED, came out in September 2013 from Bloomsbury/Walker. Prior to that, she released VESSEL, DRINK SLAY LOVE, ENCHANTED IVY, and ICE from Simon & Schuster, as well as INTO THE WILD and its sequel OUT OF THE WILD from Penguin. 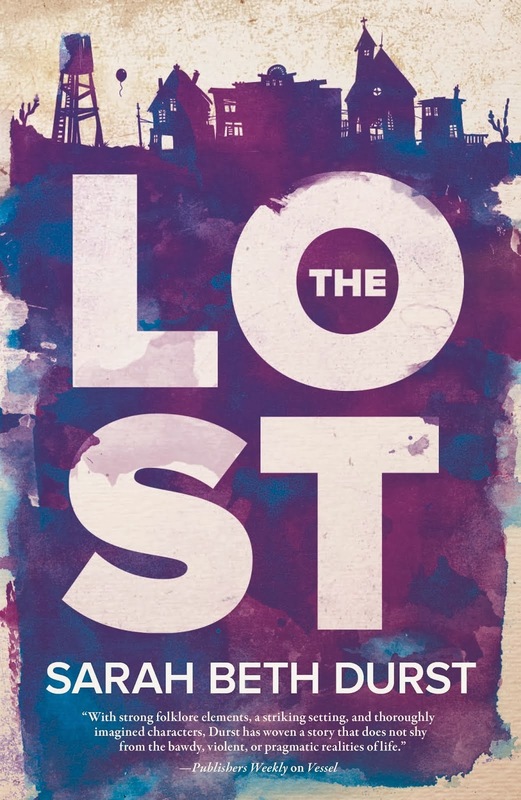 Her first book for adults, THE LOST, comes out in June 2014 from Harlequin/Mira. She was awarded the 2013 Mythopoeic Fantasy Award for Children's Literature and has been a finalist for SFWA's Andre Norton Award three times. 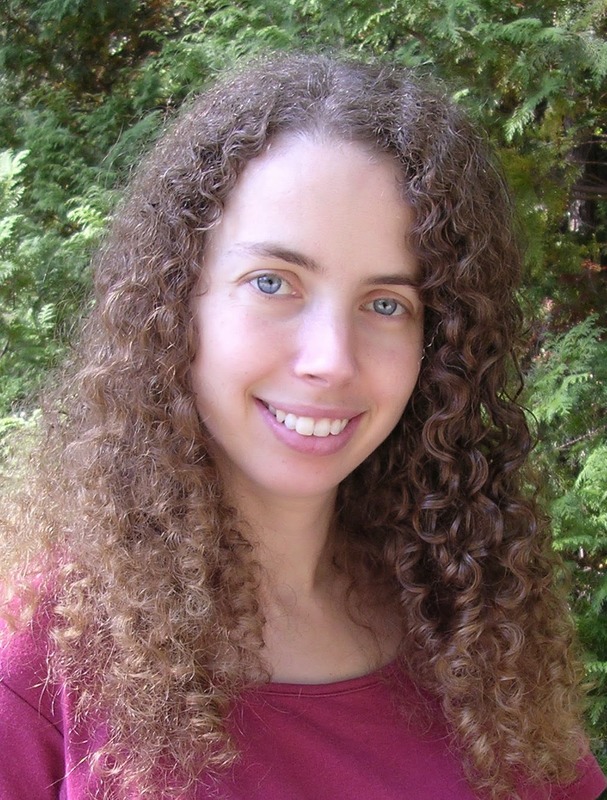 Sarah has been writing fantasy stories since she was ten years old and holds an English degree from Princeton University, where she spent four years writing about dragons and wondering what the campus gargoyles would say if they could talk. She lives in Stony Brook, New York, with her husband and children. Follow Sarah on her website, blog, Twitter, and Facebook! What inspired you to write about the daughter of Rapunzel? Growing up, I always wished that something magical would happen in my hometown: dragons in the woods, goblins in the basement, aliens in the school. So writing INTO THE WILD (and its sequel OUT OF THE WILD) was total wish fulfillment. Those books are about fairy tale characters who escaped the fairy tale to live in secret in my childhood hometown... but now the fairy tale wants its characters back. I chose Rapunzel as my central fairy tale character because she's the character who best understands the desire to be free. And I chose her daughter as my protagonist because I wanted someone who felt pulled between two worlds: the ordinary world (with free will and all its messy consequences) and the fairy tale world (with happily-ever-afters for some and prescribed roles for all). What was your favorite part of writing INTO THE WILD and/or OUT OF THE WILD? Fairy tales are such great toys for a writer because they come with so much cultural baggage. The phrase "once upon a time" has nearly as much power as "I love you" or "free pizza." I really loved playing with all the fairy tale tropes and characters. It was enormous fun imagining what different characters would do and be like if they were granted free will and released into our world. What first drew me to your novels was the fact that you wrote about fairy tales. Do you have more fairy tale retellings in store for future novels? 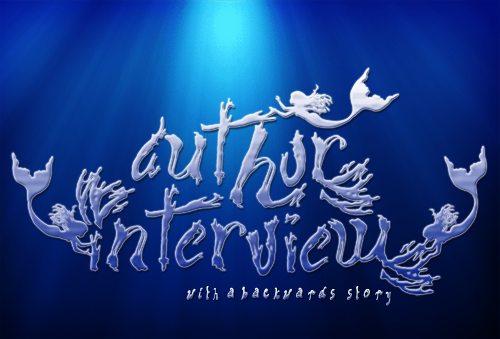 I have written both fractured fairy tales (with INTO THE WILD and OUT OF THE WILD) and a direct retelling (with ICE, which is a modern retelling of the Norwegian folktale East of the Sun and West of the Moon), and I loved, loved, loved writing both kind of stories. How would you keep from going crazy if you were locked in a tower (or satellite!) with finite resources? I'd write. Really, that's how I keep from going crazy in real life too! Writing makes me feel happy. It makes me feel balanced and whole. If I were trapped in a tower or satellite, you could expect to see walls covered in words. Today, you're Rapunzel's hair stylist. She's come to you for a new look and wants to be surprised. What do you do? In INTO THE WILD, Rapunzel is a hair stylist. She owns Rapunzel's Hair Salon. She also has short blonde hair that she can't dye no matter how hard she tries. So I think I'd add multi-colored hair extensions to surprise her. If you were sentenced to life alone in a tower (or satellite! ), what is the one thing you'd make sure to smuggle in with you? Granted, he might be a little tricky to smuggle in. So maybe I should just smuggle in some Floo Powder so I can escape via chimney. Or a handy-dandy teleportation device. What kind of craving would you risk a witch's wrath for? Books. 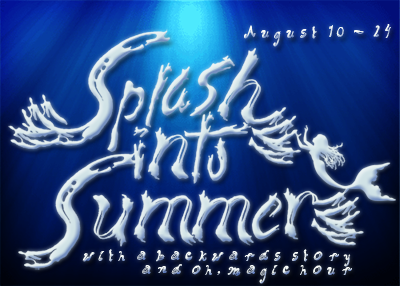 If my neighbor were a witch whose garden held all my favorite books (or, even better, books by my favorite authors that I haven't read yet), then I would certainly be tempted to shimmy over the garden wall and borrow a few. which most people don't even know about! I'm erally excited for everything you have on the horizon, too, and hope you stop back soon! 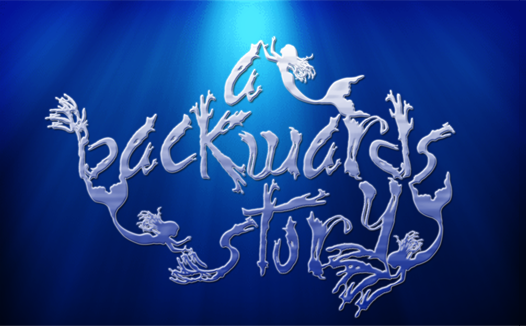 Twelve-year-old Julie has grown up hearing about the dangerous world of fairy tales, The Wild, from which her mother, Rapunzel, escaped. Now The Wild wants its characters back. Julie comes home from school to find her mother gone and a deep, dark forest swallowing her hometown. Julie must fight wicked witches, avoid glass slippers and fairy godmothers, fly griffins, and outwit ogres in order to rescue her mom and save her Massachusetts town from becoming a fairy-tale kingdom. 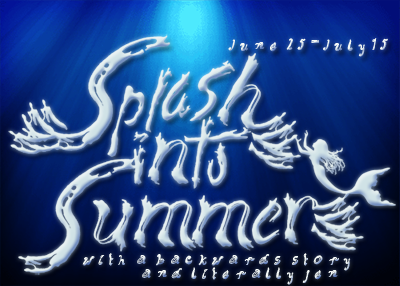 Sarah Beth Durst weaves a postmodern fairy tale that's fresh, funny, and sweetly poignant. These are on my to read list and now reading this interview I'm even more excited to read the novels. I love the idea of a garden full of books by my favorite authors that I haven't read yet! I would totally get caught sneaking in there. And, wouldn't the world just be a better placed if Floo Powder were real?